After fingerprinting etc, we were asked how we 'got' Aussie passports & marched off to the interview room for grilling. Welcome to America. Dr Faruqi migrated to Sydney from Pakistan in 1992 and joined the Australian Greens in 2004. She has been an Australian citizen for 22 years. "Being asked how 'we got' Australian passports and then about my Pakistani history clearly points towards racial profiling," the politician said in a statement, according to ABC Australia. "It is quite ridiculous, nerve wracking and scary to be treated so suspiciously for no reason and sent off to be interrogated. "There is no excuse for treating people this way. She added: "I've come to the US to find out more about drugs policy reform and to meet family. 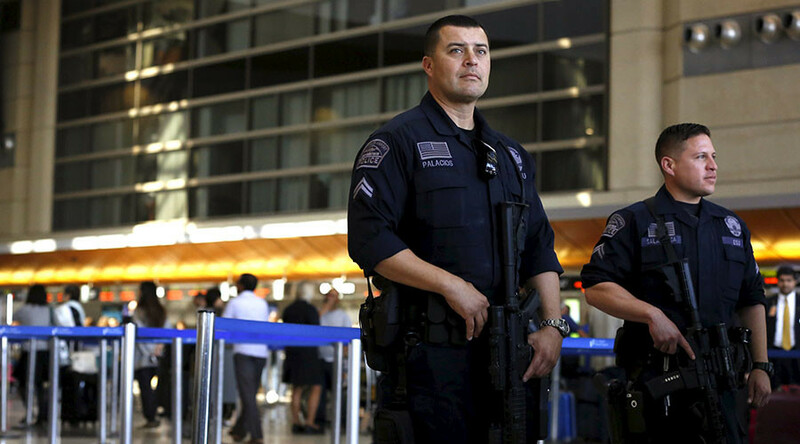 "To be treated with such hostility at Los Angeles airport is the last thing you expect." The Greens party said the incident with Dr Faruqi at the US airport was unacceptable discrimination. “Wow - when Australia's first female Muslim MP travels to America this is what happens. It's our job to make sure this sort of discrimination is never acceptable in Australia,” the party wrote on Facebook. Dr Faruqi's supporters expressed their outrage about US immigration authorities on social media. “That's disgusting. If we treated an American politician like this there it would be international news... but a Female, Muslim, Australian? Disgraceful,” one Facebook user, Louise Messenger-Riley, wrote. “That is a direct insult to Australia. Reciprocate....BAN the likes of Donald Trump from entering Oz! !” said another user, Eric Fairman.